Happy New Year! It’s been a wonderful six months since we’ve been introduced to the world of book blogging and from it, we have had so many new experiences! That being said, there’s always room for improvement. So, we’ve written down some of our goals and then by the end of 2016, we’re planning to reflect on them. You know that they say that New Year’s resolutions are never actually seen through until the end: but this year, we’re determined to accomplish these tasks, or at least try our best! RESOLUTION #1: Be more consistent. S: I think that means posting to a schedule… or at least regularly. 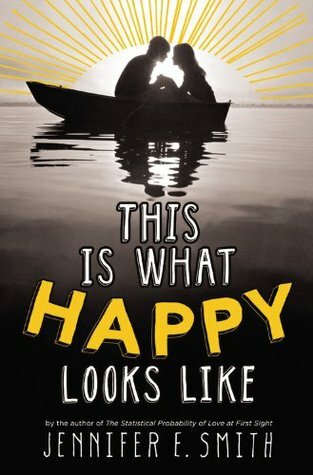 When it comes to book reviews, there are so many I want to write… but I never get around to doing them. F: Oh stars. This one, is sometimes hard. There’s school work, then there’s extracurricular activities, then there’s parents who tell you to do stuff and trying to get an adequate amount of sleep. Time management is just a tool in life that we’ll have to master. F: Commenting is a pretty big part of blogging because it helps give feedback and it just gives you a nice fuzzy feeling to know that people are actually reading your stuff, no matter what it is. Of course, it also helps you to engage in the blogosphere so this year, I’m going to try to read and comment more on other blogs. S: I have yet to review a middle grade novel… or a manga. Although, I swear, that will change! RESOLUTION #6: Find the right design for us. S: We need to find a theme and a look that we like. And we need to figure out our aesthetic. Something with watercolours…. F: Although our blog is ever-changing, we’re going to try to find a style that suits the both of us, and one that you will also hopefully enjoy! RESOLUTION #7: Refine our writing. F: We’re always trying to find ways to streamline my writing. But sometimes it’s a STRUGGLE. Usually I know what I’m trying to say, but don’t know how to say it. Then, I try to find a balance between finding my own voice while generally improving my English skills. It’s a pain when you’re done and you’re still dissatisfied with your writing… I guess I’ll also have to appreciate my own work more! RESOLUTION #8: Give back to our followers. S: We recently reached over a 100 followers, which is quite amazing. We really don’t deserve you guys, so thank you to everyone ❤ Your support means the world to us! F: To be honest, it’s easy to be envious of others’ follows but I’ve really recognized that their followers exist because of their hard work and effort that they’ve put into their blogs! This year, we would just like to take the time to appreciate everything we have achieved through book blogging and it’s really thanks to you. 🙂 It never gets old seeing a nice comment or getting a new follow, which really encourages us to write more! In the future, we would love to do a giveaway… one day it will happen. Thanks for a great six months of blogging! If any of our resolutions apply to you, comment below! We’d love to hear about your new goals. Challenge of the day: Count how many times we lose coherence in this post. 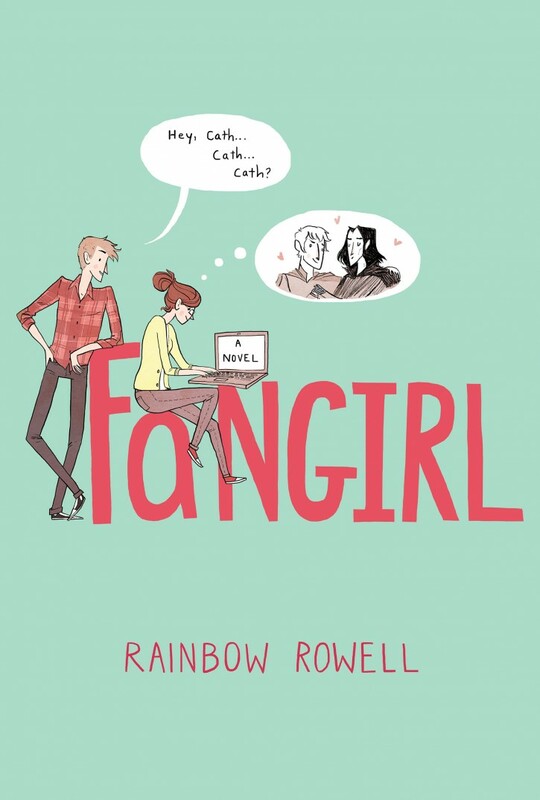 Sarah: Originally, we were going to write individual reviews for both books, but after reading Carry On and (re)reading Fangirl, we’ve decided to mash these two complementary books. Faith: Cath. Levi. Simon. Baz. 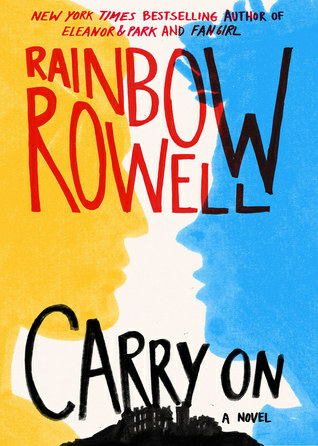 After reading Carry On, you realize all the more how it plays a role in Fangirl. Reviewing them together just sort of made sense. Before Carry On (BCO): Fangirl is great but who IS this Simon Snow? Is it basically just another name in the place of Harry Potter to avoid copyright infringement? (S: So true. I was rolling my eyes so hard)… Sorry but could I just skip these random Simon Snow parts? 1. Who is your favourite book/film/tv show character? F: Leo Valdez hands down. And Percy. And Nine from Lorien Legacies. (A lot of people find him annoying but sometimes he’s just hilarious… and I too am sensing a pattern here. All of these three are the comic relief in action-y books.) Shahrzad (The Wrath and the Dawn) is also a great heroine. S: Ummm… Cinder? Percy? Agnieszka? Humourous people in general? Am I allowed to list them by genre or book (and would you guys be willing to read a mile of writing)? 2. If you could choose to meet any famous person (alive or dead), who would you choose and why? 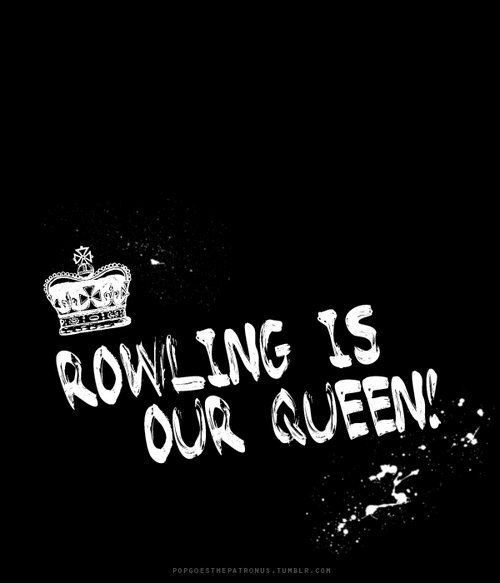 S: JK Rowling because she WROTE HARRY POTTER, one of the most defining books of the past 2 and present 2 generations. 3. Are you a Harry Potter fan? Be honest. Did I mention how much I love her?